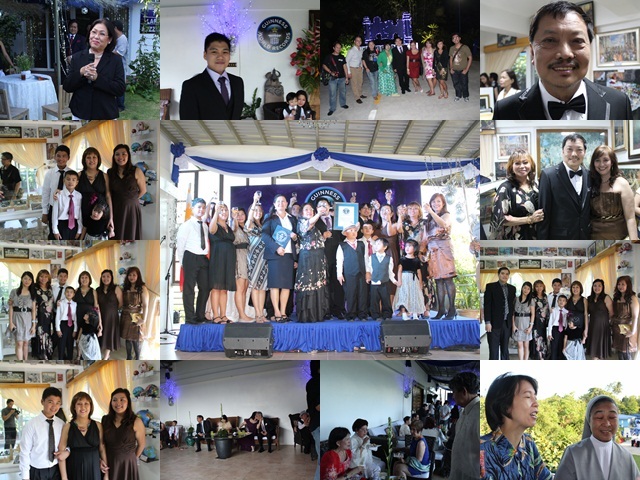 I personally witnessed the awarding ceremony of the Guinness World Record to a Filipina at the Puzzle Mansion in Tagaytay City last November 29, 2012. Guinness World Record adjudicator Seyda Subasi Gemici of Turkey officially certified Gina Gil Lacuna on Thursday as the new Guinness World Record holder for the largest collection of jigsaw puzzles. 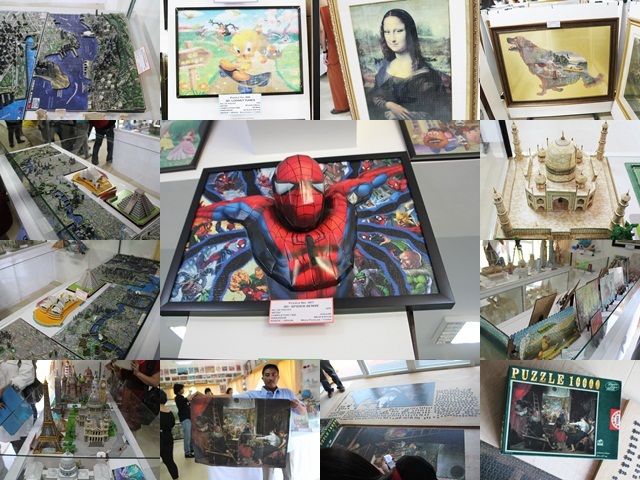 The 1,028 jigsaw puzzles at the Puzzle Mansion was adjudicated in the presence of two official witnesses, Sister Angeline Ilagan and UP College of Fine Arts Professor Monette Narciso. Yes, folks! Be proud! 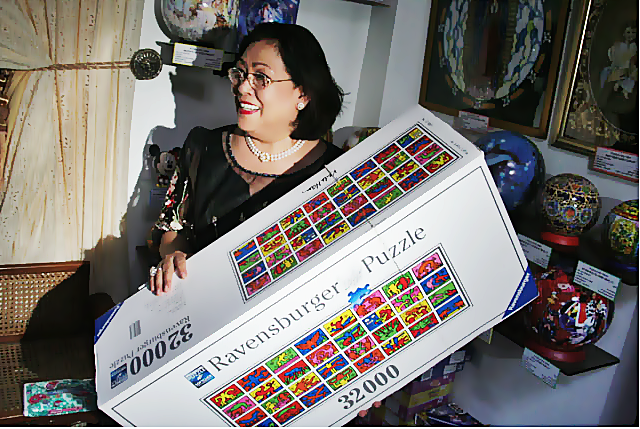 A Filipina was officially hailed by the representative of Guinness World Record as the holder of the biggest jigsaw puzzle collection in the world. Gina Gil Lacuna (left) is officially awarded the Guinness World Record for the largest puzzle collection by adjudicator Seyda Subasi Gemici of Turkey. Gina Gil Lacuna, a Filipina retiree from Tagaytay City, has officially surpassed the record previously held by Brazil's Luiza Figueiredo, who reigned for two years. Mrs. Gina Gil Lacuna, a retired businesswoman, eclipsed the old record five times over. View of the facade of the building that houses the Puzzle Mansion Museum. Present during the awarding ceremony are Tagaytay mayor Abraham Tolentino, DOT Calabarzon Director Luella Jurilla, relatives, family friends, media and bloggers. "I'm 47 years old,"Gina Gil-Lacuna jokingly said, when asked about her age. The proud new Guinness Record-holder is so bubbly that she actually glows when she talks about her puzzle collections. Mrs. Gina Gil-Lacuna started collecting and solving jigsaw puzzles at age 35, and has been pursuing her hobby for 26 years now. "It was just a hobby at first. It takes away my stress," Gina Gil Lacuna, 61, told everyone after she was awarded her certificate of recognition by Guinness World Records. The hobby, which she took up some 26 years ago, turned into an obsession that has seen her collect a total of 1,028 different puzzles framed on the walls of the first floor of her two-story bed and breakfast inn. Mrs. Lacuna's puzzle collections comes in various forms and sizes from pictures of Philippine President Benigno Aquino, Picasso works, comic book characters, architectural replicas, religious figures, landmarks, animals, landscapes, Disney characters even mural-sized classic paintings and custom-made photos to toy-like wooden figures and miniature replicas of cities even puzzles that are 14 feet long and 5 feet tall to smaller globes and crystal puzzles. The largest puzzle in her collection contains over 18,000 pieces. Who would have thought that solving and collecting jigsaw puzzles is the kind that bags you a Guinness World Record? Good for Mrs. Lacuna she was able to achieve such an astonishing feat. "When the record of 238 puzzles was set in 2010, I already had more in my collection," Lacuna told everyone on Thursday at the Puzzle Mansion in Tagaytay City. "But I didn't know that such a record existed." Mrs. Gina Gil Lacuna wants to encourage everyone to try her hobby, especially the youth because according to doctors, working on difficult jigsaw puzzles exercises the brain. The more you work your brain, the better off your mind will be. An upcoming addition to her collection is an almost 32,000-piece puzzle measuring 17 feet tall and 6 feet wide: a Keith Haring Double Retrospect set, believed to be the biggest in existence today. “I want to finish that by February next year,” Lacuna told visitors at the awarding ceremony at the Puzzle Mansion. Mrs.Lacuna’s self-imposed discipline has impressed Guinness World Records Adjudicator Seyda Subasi Gemici of Turkey. She allots three to four hours each day to work on her puzzles, finishing one to five of them at a time. “She is strict in following her own rules, and I like people like her,” said Gemici, who is on her fifth assignment for Guinness in the Philippines. Tagaytay City Mayor Tolentino assured Mrs. Gina Gil Lacuna that Puzzle Mansion will now be included and will be highly recommended as one of the places to see in Tagaytay. The UP Singing Ambassadors serenade us with wonderful songs while we were eating. The night was capped by a magical fireworks in Tagaytay's night sky. All of Mrs Gina Gil Lacuna's collections are housed at the Puzzle Mansion in Tagaytay City which you can access just by dropping by and paying an entrance fee of Php 100.00 per person. It is open from 8 a.m. to 7 p.m. Monday to Sunday. For more information visit here.